NAIROBI, March 17 (Xinhua) -- The entire crew of MT ARIS 13, a commercial vessel hijacked by Somali pirates on March 13 were on Thursday released and are in stable condition, said a statement from Oceans Beyond Piracy, a non-governmental organization. "The crew is unharmed and under the care of Puntland Maritime Police Force (PMPF). The MT ARIS 13 is now proceeding to the Somalia port city of Bosasso," said the statement on Thursday night. Somali pirates on March 13 hijacked the oil tanker that was heading to Mogadishu in a daring move that shocked the global shipping fraternity. The incident marked the first hijacking of a large commercial vessel since 2012. Earlier on, the pirates engaged in a heavy gun fight with Puntland Maritime Police Force though no casualties were confirmed. The Puntland forces and clan elders negotiated for the release of MT ARIS 13 crew. A statement from Oceans Beyond Piracy hailed the release of crew belonging to the hijacked oil tanker terming it a milestone in war against piracy. 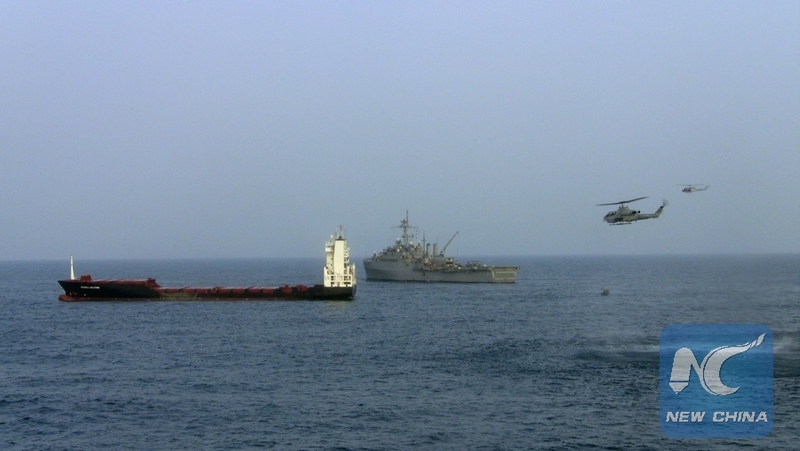 "This operation marks a success in the maritime policing of Somali waters by local law enforcement," noted Oceans Beyond Piracy.